Notions of ‘protecting country’ have, anecdotally at least, been a key motivation for Indigenous people to participate in Australia’s defence services since World War I. It may well be one reason they have been joining the army reserve’s Regional Force Surveillance Units for the past 30-odd years. The youngest of the three units, 51st Battalion, Far North Queensland Regiment, even has as its motto Ducit amor patriae, ‘The love of country guides me’. Given that it’s been almost three decades since we last considered the defence of Australia’s north, it’s time to think about whether there are new ways to involve Indigenous people in that endeavour. 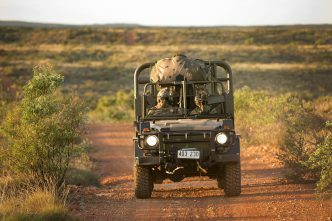 Since 1981, the army has employed the North-West Mobile Force (or Norforce, as it’s more commonly known) to be its ‘eyes and ears’ across the Northern Territory and the Kimberley region of Western Australia. 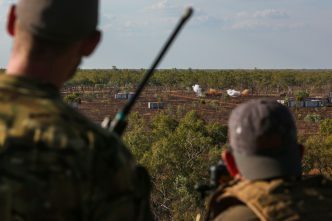 As a regionally based component of the army reserve, Norforce is uniquely placed to utilise the local knowledge of the Indigenous communities in the area it patrols. Not only is 87% of its personnel made up of reservists, but 60% of the unit is drawn from Indigenous communities in Norforce’s area of operations. For a unit with the designated roles of reconnaissance, observation and collection of military geographic intelligence, the benefits of this recruitment base are obvious. The Australian Defence Force is able to build vital links with the communities it may need to work with in the future, and trust in the ADF among those communities is enhanced when they see faces already known to them, or closely identified with their social grouping, among Norforce members in uniform. Recruitment from Indigenous communities in Australia’s north is a development that draws on some hard-won lessons of World War II, when the military had scant knowledge or experience of a vast region they were called to defend against a seemingly imminent invasion in 1942. The army initially improvised by forming an Aboriginal auxiliary unit in Arnhem Land, but a year later replaced it with a non-Aboriginal outfit called the North Australian Observer Unit—the heritage of which has been heavily and directly drawn upon by Norforce. 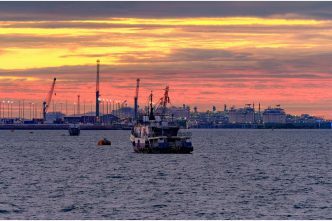 Wartime lessons were also taken on board by defence strategists during the 1980s, when thinking focused on the ‘lesser contingencies’ that could conceivably confront northern Australia. In the absence of major or direct threats, the priority was to address a range of non-military situations that might equally pose a security threat to the sparsely populated north—for example, illegal fishing and immigration, or smuggling—possibly orchestrated or manipulated by state actors for political, economic or strategic advantage. 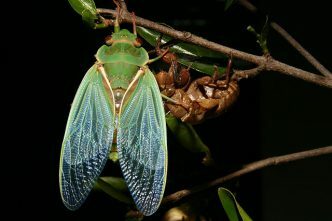 The responsibility for dealing with such situations might rest primarily on civil agencies in the first instance (police, customs, quarantine), but the ADF could still be called on to contain and prevent escalation into direct hostilities. While it may be unlikely that Norforce would be required to ‘stay behind’ in the event of an invasion, to operate behind enemy lines, there are still scenarios where the Regional Force Surveillance Units would have an important role to play—for example, helping to provide rear-area security and countering threats to lines of communication and infrastructure. In that context, the raising of the units made perfect sense; it still does, considering that a number of the ‘lesser contingency’ scenarios have largely been realised in recent decades, making surveillance of the north more important than ever. All three units currently contribute to border security through Operation Resolute, and already work in liaison with law enforcement agencies and regional authorities. It was to enhance their role in support of the defence surveillance network that the Regional Force Surveillance Units were brought together in October 2018 as the Regional Force Surveillance Group, under a single formation headquarters located in Darwin. 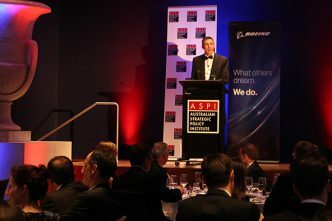 Considering some of the newer capabilities added to the surveillance network since the 1980s, including drones and advanced radar, it makes sense to coordinate the surveillance effort at a higher level, and to further integrate the group into the ADF’s total intelligence, surveillance and reconnaissance capability and the whole-of-government approach to northern security. The greatest gains realised so far from the involvement of Indigenous Australians in the defence of the north have been the social benefits derived from Norforce programs. Those gains have been an important contribution to the whole-of-government strategy for closing the gap on Indigenous disadvantage. Potential recruits from remote and isolated locations often need help to overcome levels of social disadvantage that restrict their ability to meet standard ADF education and health requirements. In addition to using waivers to take account of the lack of opportunity, Norforce has instituted prerecruitment courses to help Indigenous people ‘acculturate to life in the uniform’. The impulse to ‘protect country’ may also explain why the proportion of ADF members who identify as being of Indigenous heritage has steadily risen in recent years to reach 2.5% in 2017. But that’s still only half the level the ADF hopes to achieve by 2025. Growing indigeneity of the ADF as a whole is probably where the best prospect of improving participation in defence activities lies. For its part, Norforce is a stepping stone for many reservists into regular force employment. 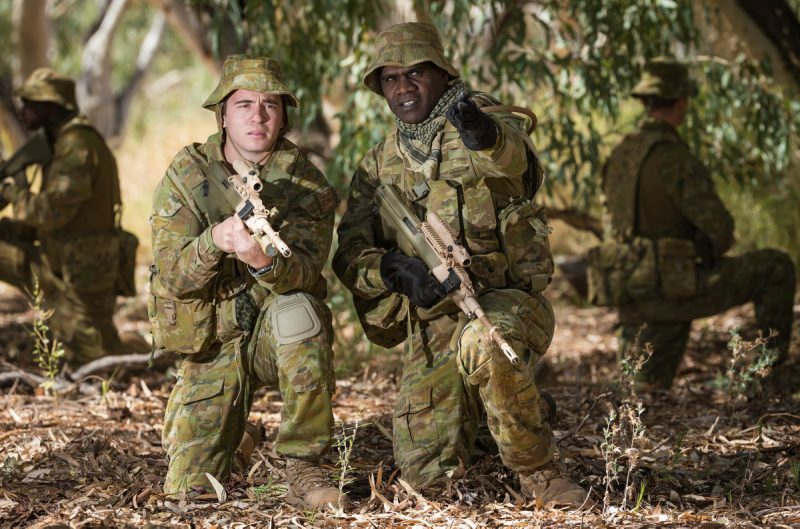 Also worth exploring is the role that Indigenous people could play in providing industry support to the Defence organisation, especially given the major construction projects expected in the Northern Territory in coming decades, including the building and sustainment of ADF training facilities. It might well be in this area that Defence reaps the benefits of its investment in the social development of the Indigenous workforce, demonstrating that the true value of Norforce has been about far more than symbolism. Chris Clark is a former Australian Air Force historian and visiting fellow at the Australian Defence Force Academy, now living in Melbourne. Image courtesy of the Department of Defence.